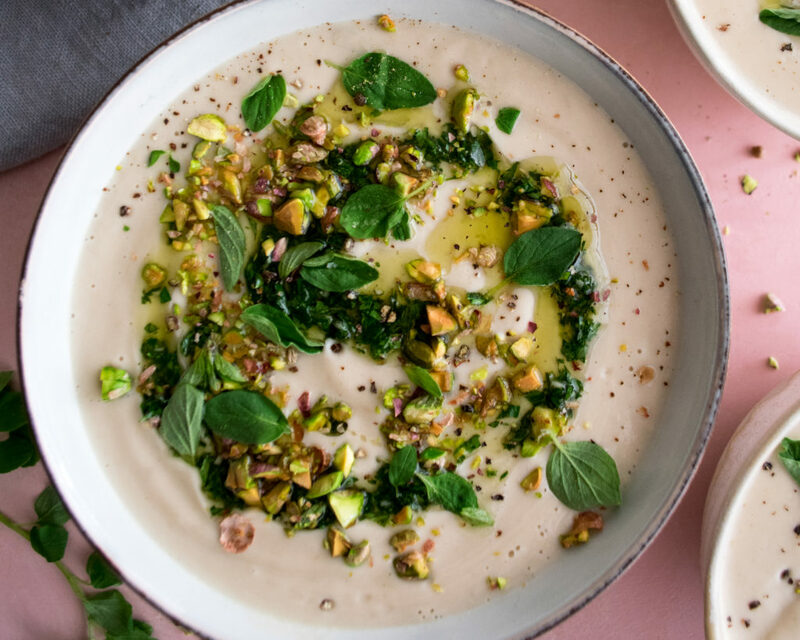 Cozy, creamy spiced cauliflower soup meets vibrant chimichurri & pistachio topping. It’s the perfect dish to hold us over until warmer weather, getting us through cold nights with hope of all the bright green things to come! 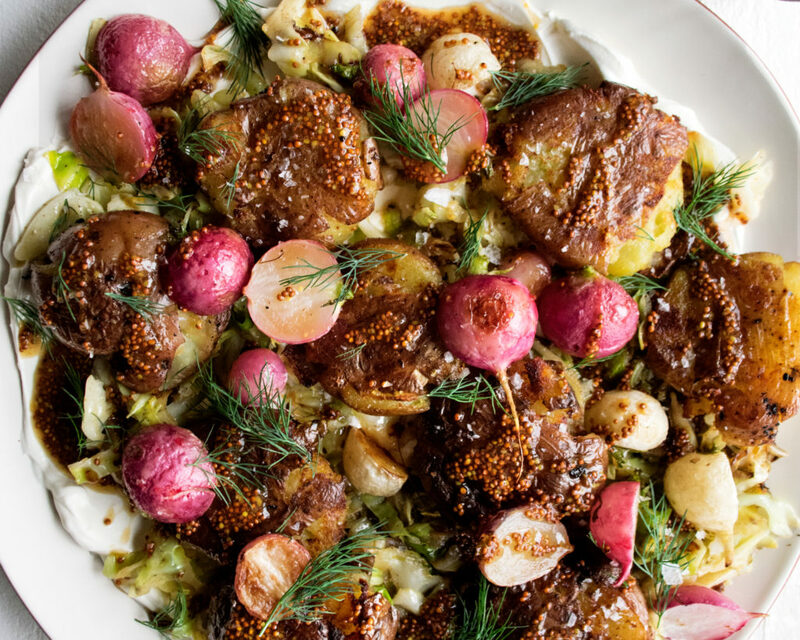 This is my ultimate St. Patrick’s Day side dish that combines everything I love about the holiday: crispy smashed potatoes, simple cabbage sauteed in butter with caraway seeds, roasted radishes, tangy sour cream, and a tart stout mustard sauce that brings it all together. 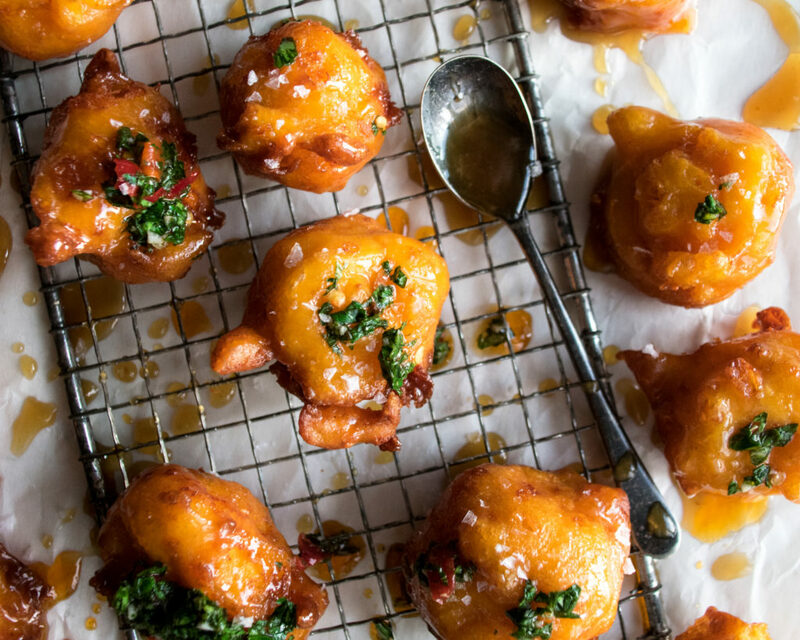 Roasted sweet potato blended into a light fritter batter full of gouda cheese, fried until golden and crisp, tossed in a silky smooth honey butter glaze, and then drizzled with a spoonful of calabrian chile chimichurri…if you’re feeling it. These sweet potato fritters are such a dreamy little appetizer that is so fun for a dinner party or weekend feast. Move over lemon…chocolate ricotta pancakes are here and they are everything and more. 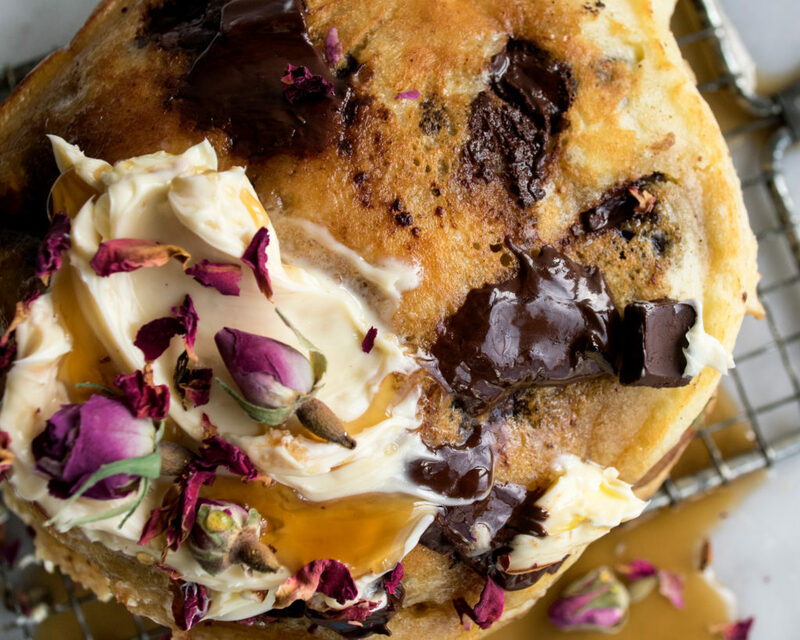 Dense and fluffy at the same time, smothered in melty chocolate chunks, and topped with a rose infused whipped butter. This is one of those dishes where there’s a ton of flavor going on and it all ends up coming together in the most delicious way possible. 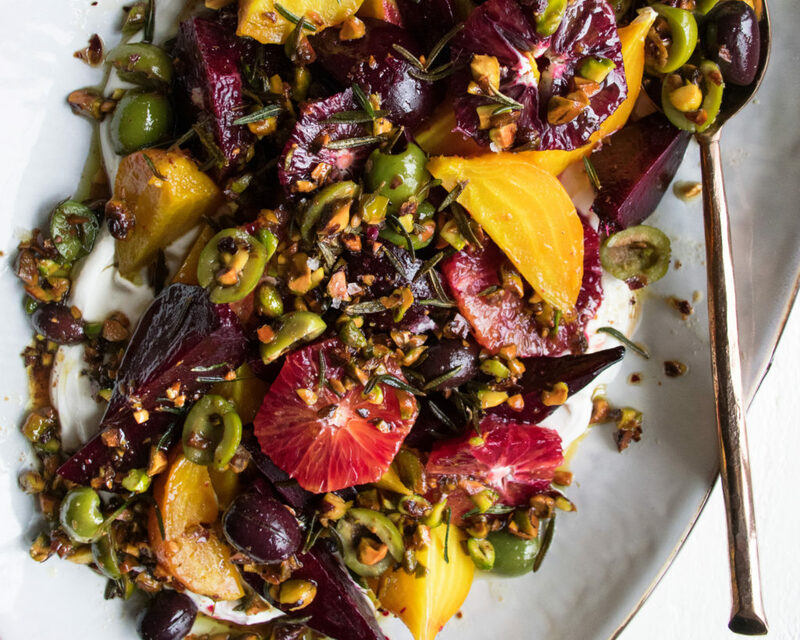 It’s a plate of roasted beets with blood oranges, creamy yogurt, fried rosemary oil, pistachios, briny olives, a splash of vinegar, and some honey to round it all out. 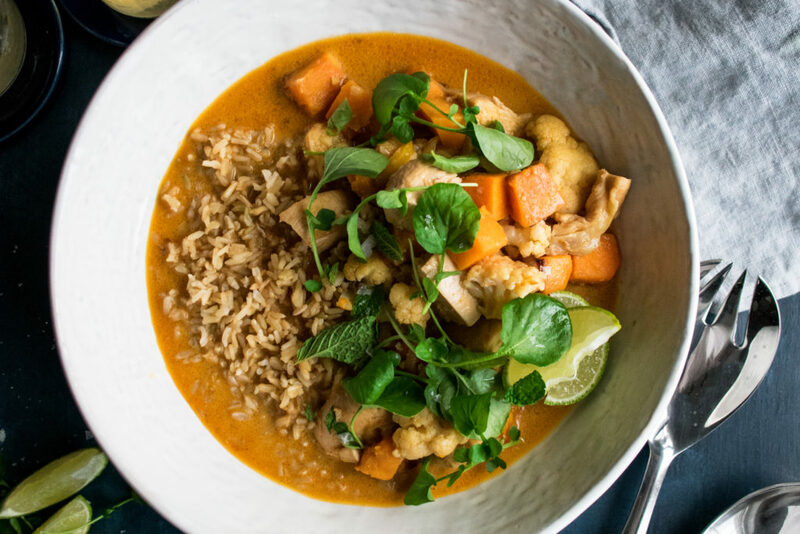 Sweet coconut milk, spicy curry paste, and lots of chicken and hearty vegetables…this thai chicken curry with butternut squash & cauliflower is an unbelievably easy, delicious dish. 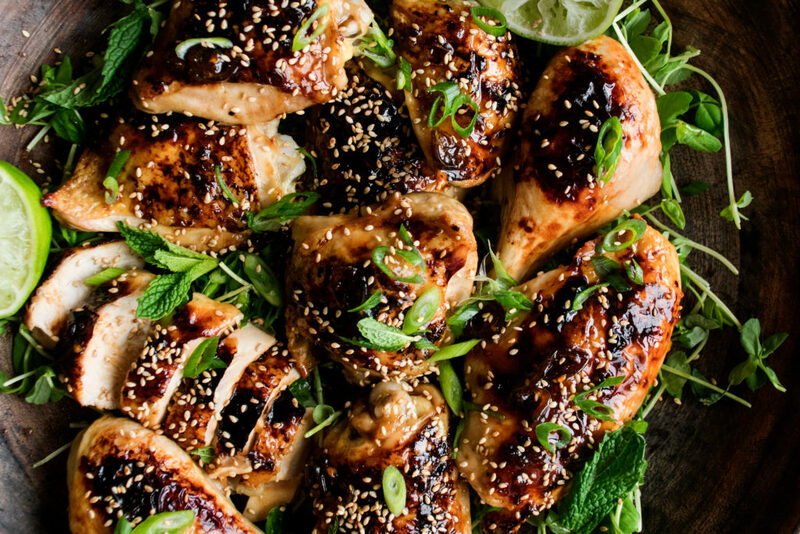 This sweet and sticky chili lime sheet pan chicken is going to make your weeknight cooking a whole lot better! The chicken is simply prepared and gets coated in a bold, flavorful glaze with lots of spice and a little sweetness. It comes together really quickly and also makes for the perfect leftovers. Perfectly seared piece of fish, basted with a silky coating of butter, and topped with bright & tangy winter citrus. 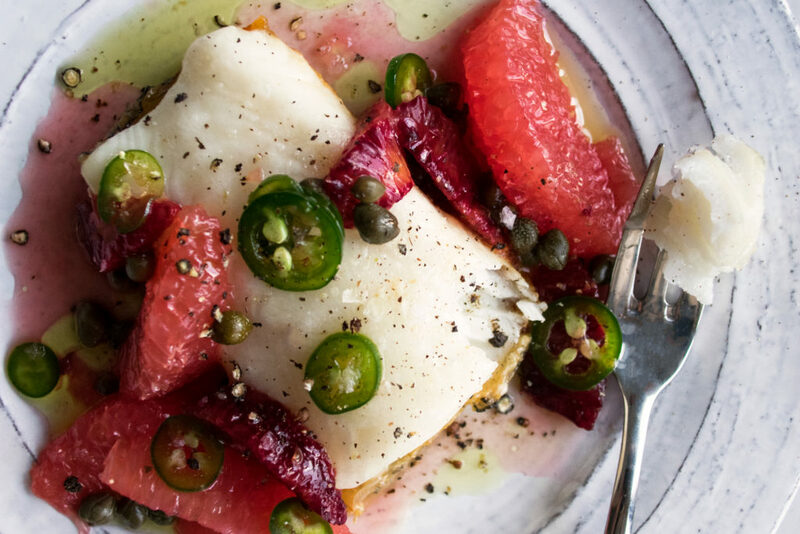 This seared sea bass with citrus salad is just the kind of refreshing dish we need to break through the end of February winter blues. 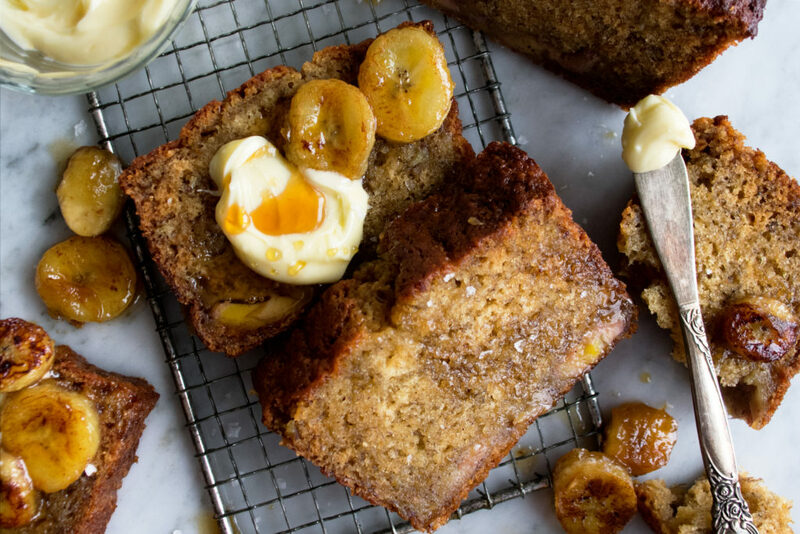 I give you my best ever brown butter caramelized banana bread, which is without a doubt the banana bread of all banana breads. It is incredibly moist and tender, over the top flavorful, and basically just melts in your mouth. 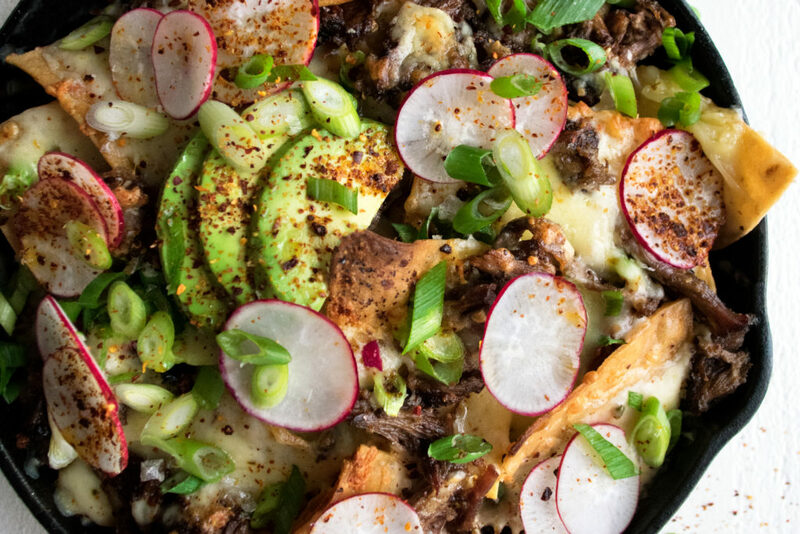 I’ve got these braised short rib nachos coming in hot for Super Bowl Sunday! Short ribs slowly cooked in spices and beef stock until melt in your mouth tender, then loaded on top of homemade tortilla chips with tons of cheese, baked until melty and golden, and finally topped with loads of fresh garnishes. It is such a fun, complete knockout dish for the big game.